Michael Dalglish is the Chief Business Development Officer of CASE Financial, a service organization within the financial industry that specializes in ATMs, Traditional Banking Equipment, and Security Products.­ In addition to being a strong leader for his company, Mike’s roles include: Sales of ATMs & Traditional Banking Equipment, New Customer Development, and Sales Training for new employees. For almost 25 years, Michael Dalglish has been diligently serving the financial industry. As the CBDO of CASE Financial, Michael has dedicated his organization to assisting community & regional banks in finding the best ways to leverage their current delivery channels, and to develop new channels as efficiently as possible. In addition to sharing his expertise in various ways throughout the banking industry, Michael currently serves on the Board of Directors for DARTS, is an NCR Ambassador, and is a Member of the St. Paul Club. In all his endeavors, Michael Dalglish places at the forefront his focus on high customer service standards and integrity. 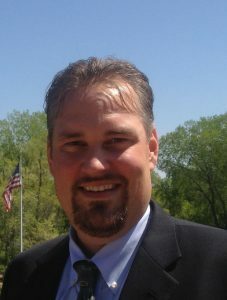 Michael Dalglish graduated from the University of Minnesota, Twin Cities, class of 1995, with a B.A. in Business Administration & Management.